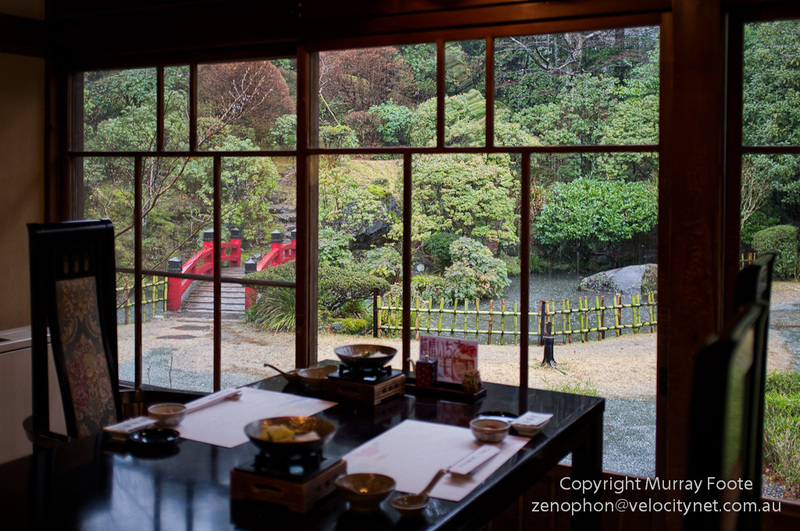 On the nights of the 6th and 7th February I stayed in the Fujiya Hotel, the oldest hotel in Japan. The founder of the hotel, Yamaguchi Sennosuke, was a member of an early Japanese delegation to Europe and the USA in 1871-1873. It was founded in 1878 in order to introduce a Western-style hotel to Japan, although due to two fires, the buildings date from 1891. It offers a unique blend of Western and Japanese ambiance. Many eminent people have stayed here, including Emperor Hirohito, Bertrand Russell and John Lennon & Yoko Ono. Most of the time I stayed here it was raining, sometimes quite heavily. This is just outside my room, though viewed from beside the pool. 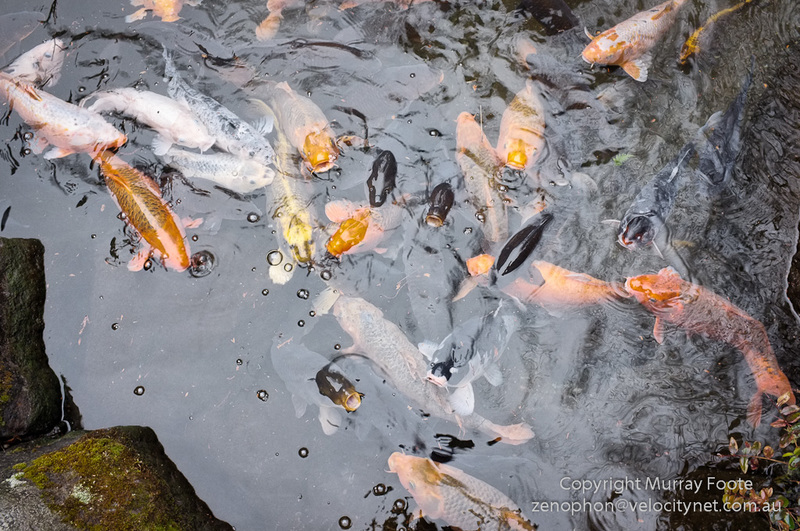 I think I was standing on the small feeding platform, so the carp were milling round expectantly. The Kikka-so Inn is part of the hotel though it is a former imperial villa. I was able to have breakfast there one morning. Here is a traditional doll set in a foyer of the hotel. It shows the Emperor and Empress with members of their court and items of furniture. 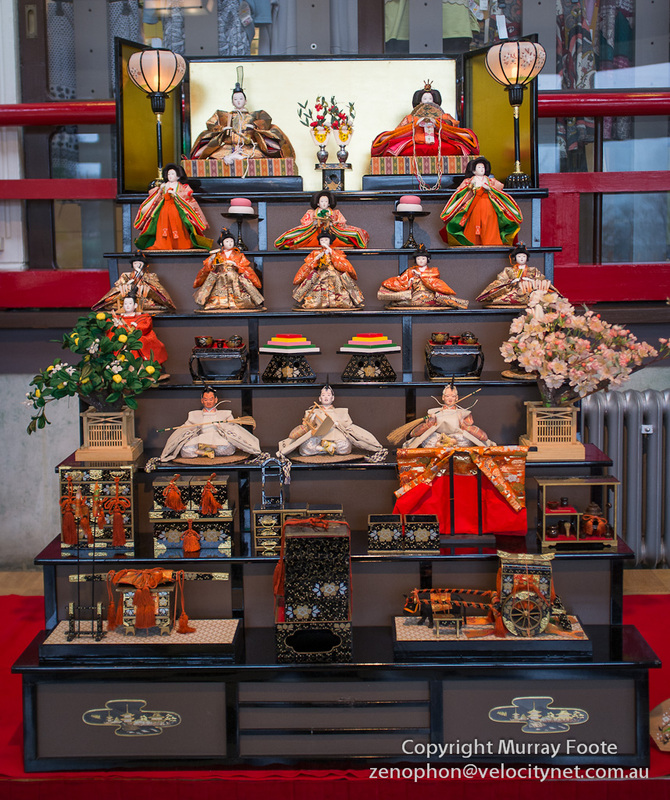 It is part of the annual doll festival, held in March each year, which was initiated at the enthronement of the Empress Meisho in 1629. 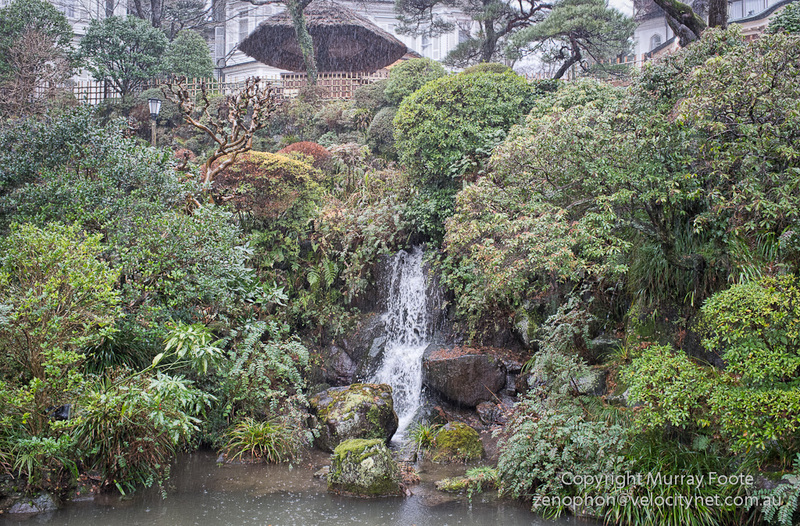 Heavy rain is a good time for waterfalls, this one in the grounds of the hotel. Another waterfall, this time in front of the hotel. If you look closely you can see that the rain is heavy indeed. 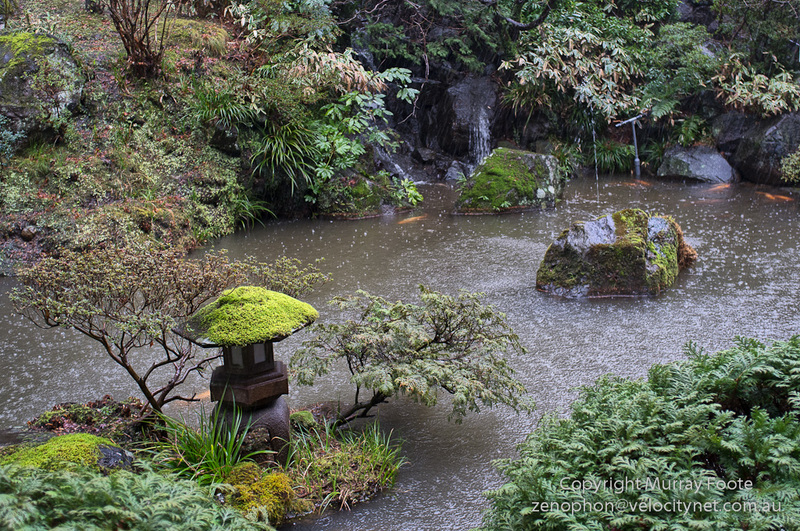 This entry was posted in Hakone, Japan and tagged Fujiya Hotel, Hakone, Japan, Kikka-so Inn, Photography, Travel. I came here after reading your posts on Photography Life regarding wildlife photos (6/23/2014). 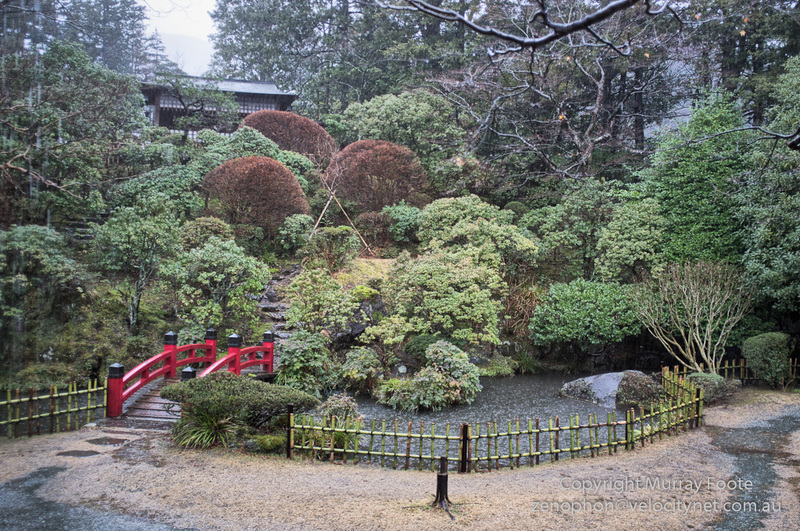 I was pleasantly surprised at seeing a section on Japan and was hoping to see photos of Mt. Fuji. I was there for a couple days, a few weeks ago, and was lucky to have good weather both days. I tried to photograph it from each of the five major surrounding lakes but it was enclosed in fog at the last one. My favorite photo, however, was at sunrise (4:30am), from our hotel on the west shore of Tanuki Lake. 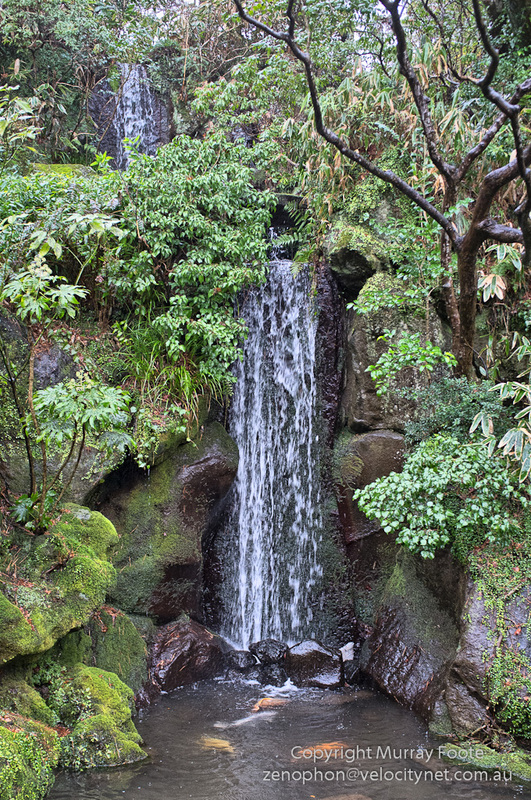 I was also surprised that you didn’t visit Toshogu shrine while you were in Nikko. Yes, I think getting up before dawn is often the key to photographing Mt Fuji. I found an obscure ryokan off the map in Trip Advisor that had good views of Mt Fuji, and they even spoke some English. Mt Fuji can be very elusive but I think I like it being elusive as much as out in the open (though that probably depends on how elusive). Ah but I did visit Toshogu. If you click on the “Japan” tab at the top and scroll down, there is a lists of all the Japan posts. For wildlife in Japan, investigate Nagano and Hokkaido. Found it. Great pictures of a great site! I’d read up about Mt Fuji in advance and knew what to expect and how to maximise my chances. That made a big difference. Shortly after dawn it was gone. Actually, the irony is that I originally intended to go with a friend but he pulled out and Mt Fuji was his preference. I’d already done the planning so I went there but otherwise I might only have gone to the historic places (apart from the tour). It really helps to have relatives there. Between my wife, my wife’s family, and all our friends, I’ve got a list of places to go, and guides to take me there, that should last the rest of my life! I’ve never been on an organized tour before but that should be a big help too. That’s a huge advantage. I just went there by myself, not speaking Japanese. I found it a wonderful place to travel in, so much culture and history and the Japanese are very friendly. Martin Bailey’s winter photographic tour mainly of Hokkaido was wonderful for me. Martin has lived in Japan for 30 years, speaks Japanese and has a Japanese wife. 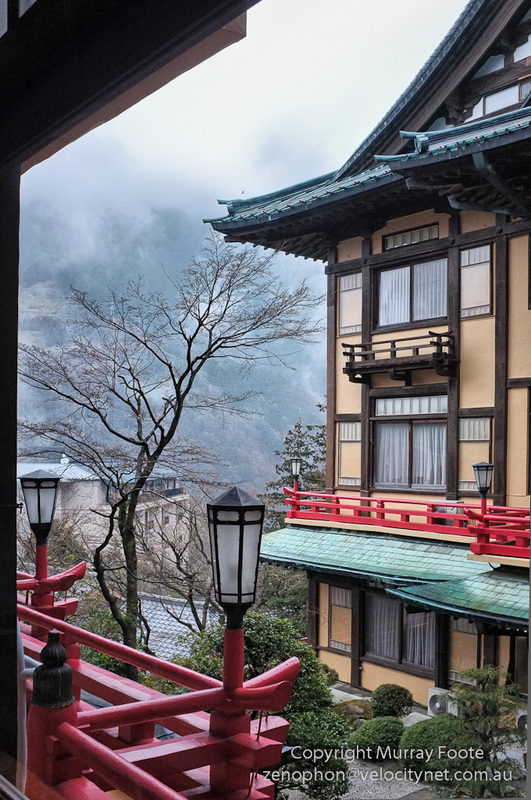 I’m interested to stay at the inn there but how much did it cost to stay at the Fujiya hotel? Normally it’s very expensive but I found a special deal – for theit 130th anniversary – and from memory I only paid around $US120 per night for a room.